We are at the beginning of peak wedding season and that means a lot of weddings to attend. If you're anything like me then you love having options. I'm definitely not the type of gal to wear the same dress over to events unless I switch up accessories, shoes, and hairstyles. You can however, find different pieces that are affordable, chic, and re-wearable! 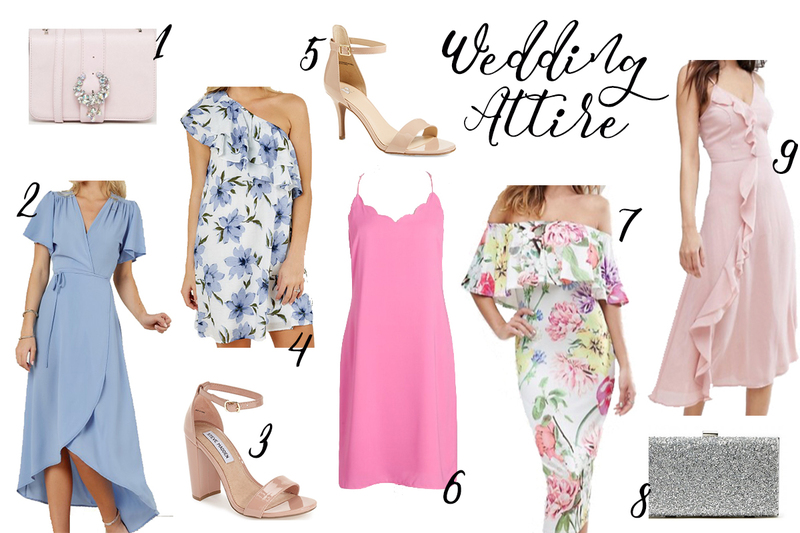 I've rounded up some of my favorite dresses of the season that are perfect for weddings, bridal showers, special occasions, etc.! Oh, and they are all under $50 for those budget-friendly loving people. Whether you are wearing a simple cami dress, sundress, or printed floral - all of these styles will be beautiful! Share your wedding attire options below!